The Real Estate market in California is back and staying on top of your real estate license has never been more important. Our 45 hour California Real Estate Package brings you the latest information and requirements so you can rest assured that you are being the best real estate agent that you can be. Grow your business and succeed in real estate. Our courses can help. This complete package includes all 45 hours of CE required for broker and sales active licensees renewing for the FIRST time. This package can also be completed by licensees in their second and subsequent renewal cycles if they wish. This package includes the 15 total hours of mandatory topics as well as 30 consumer protection and consumer service hours. This complete package includes all 45 hours of CE required for broker and sales active licensees renewing for the SECOND or SUBSEQUENT time*. This package includes the 8 hour Survey Course as well as 37 consumer protection and consumer service hours. *First time licensees cannot take the 8 hour survey course to meet their 15 hours of mandatory hours thus this package will NOT work for those licensees. This package includes 33 of the 45 total hours of CE required for broker and sales active licensees renewing for the FIRST time and is designed for licensees that have already completed 12 hours through CAR. This package can also be completed by licensees in their second and subsequent renewal cycles if they wish and is designed for licensees that have already completed 12 hours through CAR. This package includes the 18 total hours of mandatory topics required as well as 12 of the 18 total consumer protection hours required and 3 consumer service hours. This package includes 33 of the 45 total hours of CE required for broker and sales active licensees renewing for the SECOND and SUBSEQUENT time* and is designed for licensees that have already completed 12 hours through CAR. This package includes the 8 hour Survey Course required as well as 19 consumer protection hours required and 6 consumer service hours. This package includes 15 mandatory CE hours of the total 45 hours required for broker and sales active liThis package includes 18 CE hours of the total 45 hours required for broker and sales active license renewals. 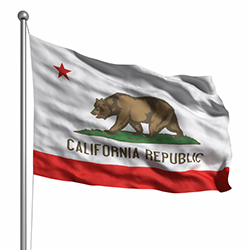 *This course is approved for 2 hours of Consumer Protection in California. *This course is classified as a Consumer Protection course in the State of California. *This course is approved for 3 hours of Consumer Protection in California. *This course is classified as an eight-hour survey course in the State of California. This course provides a great way for California real estate professionals to meet their 15 hours of CE requirement in core courses in one easy-to-digest 8-hour package. Ethics, agency law, risk management, fair housing law and trust fund management are all crucial components to maintaining professional standards in the industry. The California Salesperson and Broker Survey packs it all into one great course. In California, "agency" refers to the type of relationship between a buyer or seller and a real estate licensee. Buyers and sellers can enlist the assistance of a real estate professional to represent their interests and direct transactions on their behalf. As a knowledgeable expert, you can guide clients through the process and help them resolve problems and challenges along the way. *This course is classified as a Consumer Service course in the State of California. Because the Internet is a wide-reaching medium with a very low cost of entry and nearly instantaneous feedback, it provides both increased visibility—and increased risk. This course will demonstrate how to maximize online visibility while decreasing online risk. This three-hour course reviews the rules for online engagement in social media, social marketing and social news. Professional and ethical real estate professionals who adhere to a high set of standards are the foundation for restoring confidence and stability in an unsure marketplace. The National Association of REALTORS® (NAR) relies on its Code of Ethics to ensure that all REALTORS® are conducting business in an honest manner and with the highest degree of integrity. This course also covers the California Business and Professions Code that guides ethical business practices within California. Reminder: State law may be in conflict with segments of the Code of Ethics and in those instances, state law will prevail. Real Estate professionals who understand and strictly comply with California Fair Housing Laws serve clients and customers with confidence and integrity and ensure that every person is treated fairly. This Fair Housing course will assist you to identify important concepts to improve your customer service and help you to avoid common legal and cultural pitfalls. You will learn about both federal Fair Housing laws and laws unique to the state of California. This course will discuss risk and the potential for loss in relation to the real estate industry in the state of California, encompassing six key areas: property disclosure, agency law, contracts, compensation, anti-trust and fair housing. The more knowledge you have regarding potential risks, the greater ability you have to effectively manage those risks and minimize exposure. At the foundation of any real estate transaction is the transfer of funds from one party to another. Real estate professionals act as intermediaries in the process, commonly handling funds entrusted to them from one party as part of the transaction. This course covers processes and requirements involved in managing and accounting for trust funds, what you are required to do with funds entrusted to you, and how to ensure the funds are handled properly. Open houses have been a standard practice in seller representation for decades; however, not all open houses are successful. By carefully selecting which listings are suitable for an open house, then preparing the sellers for the event, you set yourself up for a productive afternoon. This course walks you through the steps involved in planning for and hosting a successful open house. Open houses pose some security risks, but they are not the only safety threat that real estate professionals face. The second half of this course looks at safety from multiple angles, and offers practical ways to protect yourself while working with clients, at the office, and when you are at home. *This course is approved for 6 hours of Consumer Protection in California. *This course is approved for 3 hours of Consumer Service in California. *This course is classified as a Risk Management Mandatory course in California. Licensees often look for additional forms of revenue, often in the forms of referrals and affiliated business arrangements. While it is acceptable to have additional streams of business revenue, and referrals are the lifeblood of real estate, how referrals are made and to whom, and how affiliated business arrangements are handled and disclosed can mean the difference between extra income and the loss of one’s license. This course presents the how-tos of referrals and additional revenue streams against the backdrop of real estate disclosure law and RESPA (Real Estate Settlement Providers Act) regulations. Real estate transactions and service providers covered by RESPA. *In California, this course is classified as a Consumer Protection course. *This course is classified as a Consumer Service course in California. All continuing education course offerings attended must be completed within the four-year period immediately preceding the effective date of renewal. This is normally the day after the expiration date for an on-time renewal.